1846  Josiah Howell was documented to be the owner (1, p. 2). 1846  It is believed Isaac Johnson purchased the plantation in this year from Josiah Howell (1, p. 2). 1938  The plantation stayed in the Johnson family until this year when it was purchased by John Henry Hazel (1, p. 2). 1978  Hazel deeded the house and 62 acres to his granddaughter Virginia T. Witt (1, p. 2). 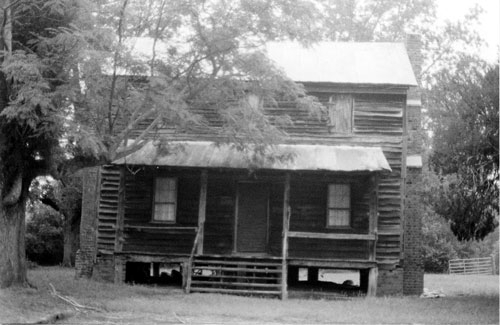 1990  Virginia T. Witt gave one acre and the house to the Saluda County Historical Society (2). Two-story house of log construction with weatherboard (1, p. 2).